Most of the funding -- $160 million -- was paid by the public through the Oregon Legislature. 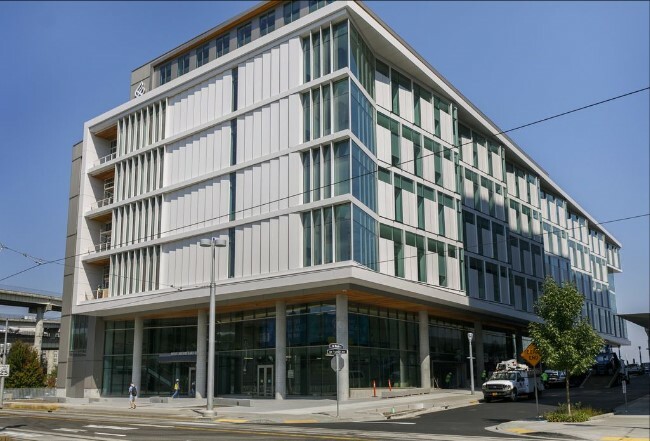 Oregon Health & Science University celebrated the completion of its new $190-million cancer research building on Friday. The seven-floor structure on the Southwest Waterfront will house 650 researchers dedicated to discovering new ways to detect cancer early when it's easiest to treat. Most of the funding -- $160 million -- was paid by the public through the Oregon Legislature. The celebration comes five years after Nike co-founder Phil Knight and his wife, Penny, gave OHSU $500 million for cancer research. OHSU met the Knights' $1 billion fundraising challenge in 2015. “Today, we give thanks to the people who made this building possible," said Dr. Brian Druker, director of the Knight Cancer Institute. "We thank Phil and Penny Knight, who issued the challenge of a lifetime. We thank the state of Oregon for its investment in this new building, and we thank the more than 10,000 donors in Oregon — and across the world — who believe in our mission." That stated mission is to cure cancer, something that's considered impossible. But the center's researchers hope to edge medicine closer to that goal. The public can see the building Saturday during an open house and talk to members of the cancer institute between 9 a.m. and 5 p.m. The building is located at 2720 S.W Moody Ave.